What a beautiful bouquet of fresh fruit, if they weren’t a gift I would have eaten then in the car on the way home. Nothing was too much trouble for their staff and every detail right down to the colour of the ribbon was discussed and taken care of. Highly recommended and will be back. Lush. I love this place! Perfect if you want presents for your loved ones !!! My brother gave me a beautiful fruity bouquets today for my birthday tomorrow.it was a lovely surprise.such a beautifully arrangement of strawberries,what a treat. I bought one from you a few weeks ago for a friend who was very impressed with them , they're the perfect gift. I just wanted to thank you so much for your wonderful gifts. I certainly will be in touch again ,when l need that special gift. THANK YOU. Just to say a big big thank you for the strawberry bouquet you delivered this morning,it's beautiful , wish it was mine, it's for a friends birthday tomorrow she's going to be over the moon.l was lucky enough to receive one from you from my son for my birthday. When l received mine it was the loveliest surprise.a wonderful idea,so special. I certainly will be ordering from you again.THANK YOU so much for your wonderful service. Best Regards. Marilyn. I brought two of the strawberry bouquets for Mother’s Day recently and they are absolutely beautiful!! The strawberries were huge and so fresh!!! Both mums absolutely loved them and I wouldn’t hesitate to purchase them again for another occasion! Thank you Julie In Medway for doing these for me! Absolutely amazing! Will recommend to everyone! An amazing bouquet of fruit delivered today- it’s gorgeous and so fresh. Thank you. Bought the chocolate strawberries for Mother’s Day, amazing customer service and very helpful! Can’t wait to order the next bunch. I got my mum one of the red boxes with 35 strawberries in for Mother’s Day today and it was perfect, they tasted absolutely amazing and the presentation was 10/10. I can’t wait to order more!!! Thoroughly enjoyed my competition prize. Highly recommend the brownies - Very Well presented and tasted absolutely delicious. Will be dropping a firm hint for Mothers Day, Thank You. Amazing !! Will be ordering again. Lovely gift ideas!!! 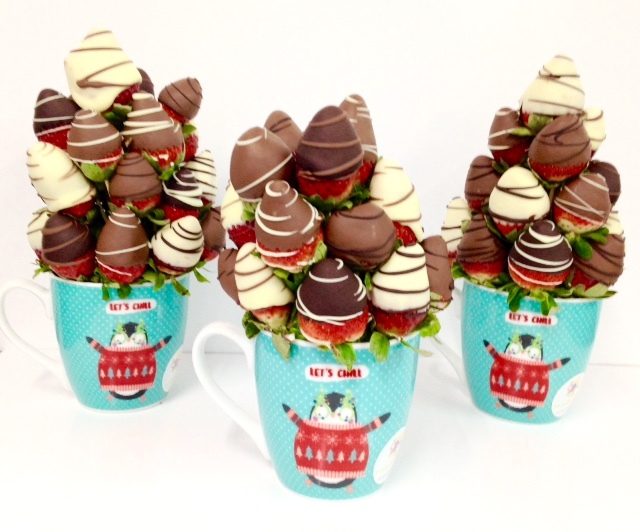 Received a chocolate strawberry bouquet as a gift and was really impressed- it looked amazing and tasted even better. Would definitely recommend. Amazing professional service and beautiful chocolate brownies / marshmallow and gifts . Highly recommended. Thank you. 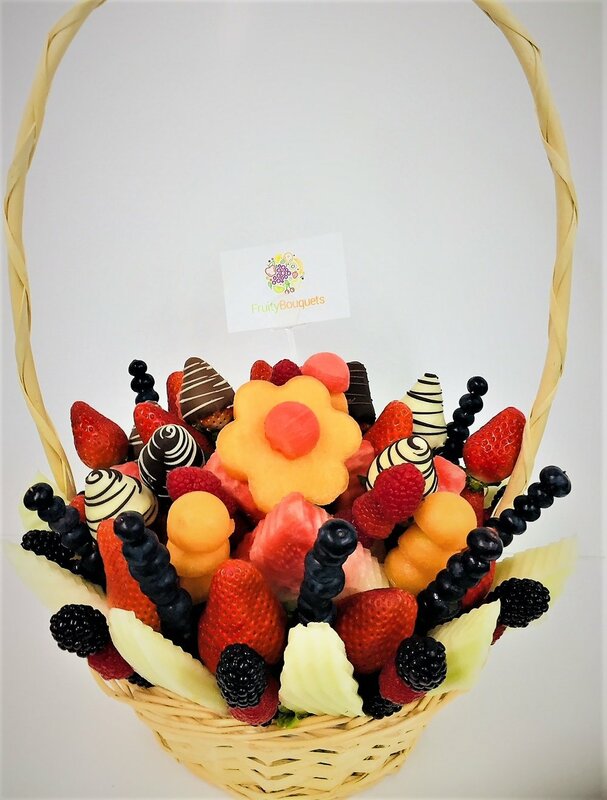 I ordered the strawberry bouquet last night as an off the cuff present for my husband, just as a little thank you for everything he does for us, oh and myself haha! They came this evening and they were to die for! Beautifully presented and looked good enough to eat , we ate them far to quickly! thank you so much, they really are gorgeous. i will be ordering again !!! Thank you very much! I loved it! After winning a competition of these Beautiful Bouquets, it was a lovely basket of strawberries and belgian chocolates, tasted delicious, and the gift packaging was well presented.. would highly recommend..Thankyou!!! Thank you very much !!! I ordered last minute for a birthday gift and it was delivered the very next day and was greatly received! Highly recommend! What an amazing product! so different high quality and just WOW. Honestly say has made my absolute day!! Deffo recommend & will use in future. Ordered one for our baby shower today. They were very helpful and the fruity bouquet was absolutely stunning. It was delivered promptly and lovely packaging. Everyone complimented us on this ,so hopefully you will have more orders. I know we will be ordering again. Thank you. Amazing service so fresh and well presented. Absolutely delicious gift!! Would definitely recommend such a lovely gift!!! I had the pleasure of receiving a beautiful chocolate,strawberry bouquet the other week for my birthday . It was beautifully presented, tasted amazing and was obviously made with high quality chocolate. The person who delivered it was polite and friendly... excellent service and highly recommended. Hubby knew I loved my wedding anniversary gift so much he bought me another fruit bouquet my birthday. Totally recommend!!! Highly recommend, looks and tastes beautiful, very professional!!! Absolutely stunning! Highly recommended! Beautiful presentation and attention to detail. Very impressed will order again. I had strawberry and marshmallow mix as a gift for my mum for her birthday and they were absolutely stunning, well presented with an excellent service, would highly recommend this company something different and very special. Fabulous Gifts and wonderfully presented.Delivery was exactly right also.Definitely recommended. I had a beautiful strawberry bouquet delivered this morning for mother's day. Thank you very much to the Pontypridd branch for a brilliant service can highly recommend them, and will definitely order again. My mother received her 'cheeseboard bouquet' today and said it was a "work of art". Never fail to impress, and great service.Nice to have a new local pick up point in Pontypridd as well. Would recommend to anyone. Thank you very much. It's beautiful. Very pleased indeed. Will be back to shop with you again. I just wanted to say thank you for delivering the bouquet, my partner will be over the moon with them.Really appreciate the extra mile service your provided.The bouquet is lovely as always.